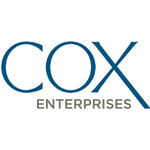 This position is responsible for leadership of the Cox Business Order Management, Project Management and Network Expansion teams. The position assists in the assembling of necessary customer requirements and documentation to constitute a valid order and directs the order fulfillment activities for Cox Business with all business partner organizations. This leadership role provides contract management, project management, order entry, order quality assurance, service delivery, billing administration and sales operations reporting and analysis. The successful candidate will be a motivated, self-directed leader, able to work in a high-intensity, high-profile environment, an experienced innovator and change agent, equally comfortable and effective in executive-level and customer-facing capacities. Assumes end to end responsibilities for the timely implementation of our customers as well as the implementation customer experience. Provides strategy and leadership for order entry and fulfillment, order quality assurance, product service delivery, project management and network expansion. Contributes to sales budgeting, forecasting, and long range planning to increase market share. Initiates standards to customer experience and quality of service delivery. Analyzes business and resource requirements, metrics, discounts, churn, sales and revenue attainment and ensures operational goals are tied to strategic business short and long term objectives. Provides for reporting and analysis to assess performance and reliability of order quality and fulfillment, time-to-install, on-time delivery, churn and revenue assurance. Leads change and facilitates environment of continuous process improvement, recommends changes to workflows and processes, establishes and implements technical and operational performance standards. Collaborates closely with Sales, Field Service, Network Operations, and Finance leaders to identify capital requisites and constraints to support region objectives. Ensures organization is in alignment with company and region specific policies and procedures, including compliance with all federal, state and local commission and agency rules and regulations. Collaborates with Legal & Regulatory to establish standard contract terms, integrate pricing and terms and conditions, remains current on changes to contract regulations and procedures, provides and completes training as required. Presents information and provides analysis to advise and support decision making for Vice President of Cox Business on strategic business development, acquisition, planning, market opportunities and threats. Remains current on existing products, new product development, technical information, methods and procedures, continuous process improvement and the competitive landscape. Demonstrates enterprise wide thinking by collaborating across regions on special projects, strategic business planning and initiatives, and implementing best practices to drive performance to meet or exceed customer and business expectations. Develops, builds and manages relationships with Center and regional peers. Develops self and others, models accountability, provides guidance, sets performance goals and expectations for the department, manages performance, provides training and development opportunities. 10 + years of experience in related field (i.e. Marketing, Sales, Sales Operations, etc.). 5 + years of experience in a management role preferred. Requires strong knowledge of Microsoft Excel, Word, Access, PowerPoint and Outlook. Excellent presentation and communication skills to work effectively with teams throughout organization. An independent manager with the ability to develop and lead a high-performing team of professionals. Strong financial business acumen. Excellent analytical skills, including database and/or statistical modeling experience. Quantifiable accomplishments in development and attainment of aggressive retention/sales implementation goals. Thorough knowledge and background in Sales Support programs, demonstrated success in translating marketing plans into effective implementation strategies in competitive industry. BS/BA in related discipline highly desired. Prior experience in supporting Sales preferred.